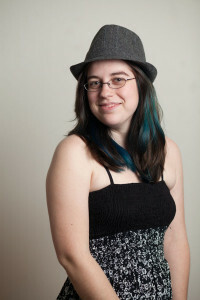 Jessie Sanders is a writer with the Consortium. She’s also a professional editor who specializes in young adult and religious fiction, and an all-around fan of good literature. She shares some of her reading experiences in a regular column here. You can read more of Jessie’s writing at her blog, Stormy Night Publishing. 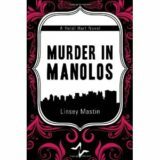 Murder in Manolos is a witty chic lit mystery that I enjoyed every minute of. Well, okay, not every minute, because there were many scenes where I was frustrated that conflicts and mysteries hadn’t been resolved yet, but ultimately isn’t that the mark of good storytelling? Linsey poses dark questions throughout the course of her book and teasingly draws the reader through the story until the conclusion, where all is revealed. Murder in Manolos follows Heidi Hart’s journey toward gainful employment. Heidi has just graduated from college and is intent on finding a job in New York City. Unable to find anything in her field, she resorts to becoming a companion to a fifteen-year-old girl. Lauren Dayton seems to be a teenager who can take care of herself…but Heidi soon finds that there are a few skeletons in this family’s closet. With the help of Lauren and Luke, the younger Dayton brother, Heidi sets out to solve the mysteries that no one before dared to admit were there. Heidi Hart is a great main character. She has self confidence and wit and isn’t afraid to use her feminine wiles to get what she wants. She is also very stubborn and loyal to those she cares about. I had a slight problem with the mystery portion of the novel in that Linsey made the police department come off as completely worthless. Heidi uncovered information that should have been obvious through routine questioning and autopsy reports. It didn’t ruin the experience of the story, but disbelief did have to be suspended a little. More than anything, it made the police come off as completely incompetent. But Heidi was a great character and her chemistry with the other characters, especially with Lauren’s brother Luke, was delightful. For an easy weekend read, I highly recommend this book. Linsey Mastin’s first installment in the Heidi Hart series will captivate anyone who enjoys Janet Evanovich or Meg Cabot novels. And even some who don’t (like me). Mastin, Linsey. Murder in Manolos. Oklahoma: Tate Publishing, 2011. 309 pages. great recommendation and great review, Jessie! I really like Janet Evanovich or Meg Cabot novels, so I think that this book will surely captivate me. I finished to read last week a very interesting police novel written by Elizabeth K Lee. I enjoyed every minute of it and I highly recommend it!